Property prices for the private resale homes in Singapore have just experienced their first slump last month (August 2018) – breaking a 12-month surge to record highs, with the latest property curbs taking effect since 06 July 2018. According to the flash estimates by SRX Property for August, private resale home prices declined by 0.2% month-on-month, with properties in the rest of central region (RCR) or city fringe and core central region (CCR) feeling the most impact with a price dip by 1.6% and 0.3% respectively. On the other hand, prices of Singapore condo projects in the mass market or outside central region (OCR) have continued on an uptrend – rising by 0.8% month-on-month. Some market watchers were expecting resale prices to remain fairly buoyant throughout the rest of the year, however, increments may be subdued after high ABSD rates and tighter LTV limits were imposed on 06 July. In addition, the transaction volume in private resale homes has also tumbled – from 1,072 units to around 694 units (a 35.3% decline). This was, in fact, the 4th consecutive fall month-to-month and now being at the lowest number since January in 2017. The resale volume last month was also down by 48.2% year-on-year, comparing the 1,339 units transacted in August 2017. Despite a price dip in August, resale prices are still up by 8.8% overall this year and are 11.2% higher than 2017. 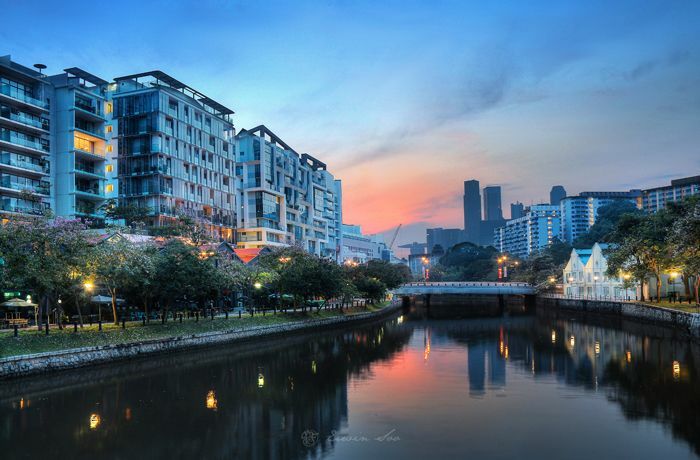 According to some property consultancy firms, they believe that these early downtrends may be signals that the resale home prices may have already peaked and will start to soften under the recently announced cooling measures. And to take the wind out of the sails, it was noted by SRX that lesser buyers are inclining to pay a premium over the market value of a property in the month of August, after a significant drop seen in July as well.